So what do you think the Screamin' Sicilian above is actually yelling and making so much noise about? If you bothered to open up the freezer door at your local grocery store, you'd have heard that he just wants a chance to be your new favorite pizza. With so many options within just a few dollars of each other, why not check out the pizzas that actually look like they might taste awesome? 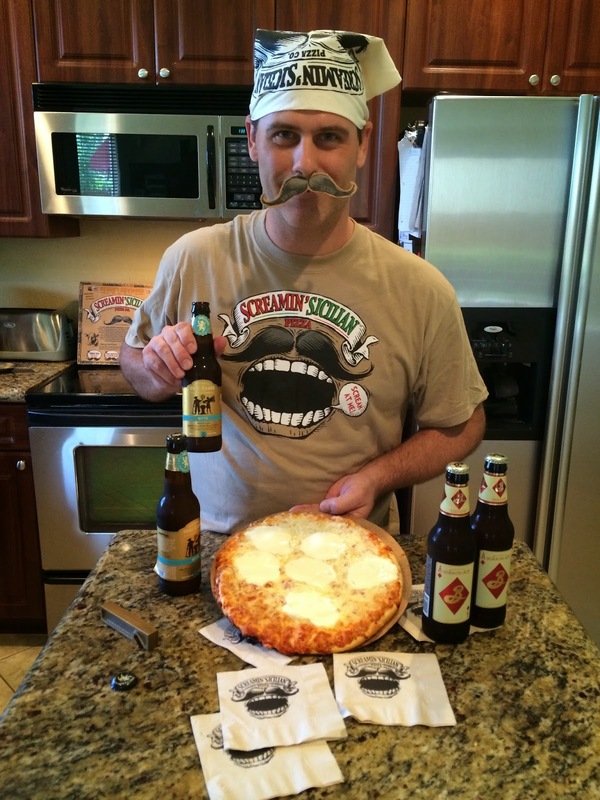 Screamin' Sicilian Pizza Co. recently reached out to me because they think their pizzas are a natural fit with the craft beer world. Comparisons include the creativity of the naming and packaging, the bold flavors, and the quality of the products. And who doesn't like a great beer with a great pizza? So let me tell you more about their pizzas. Before you ask, yes, I was compensated for this piece, with pizza, props and dough (you know what I mean). But I'm pretty sure you guys know by now I say what's on my mind. 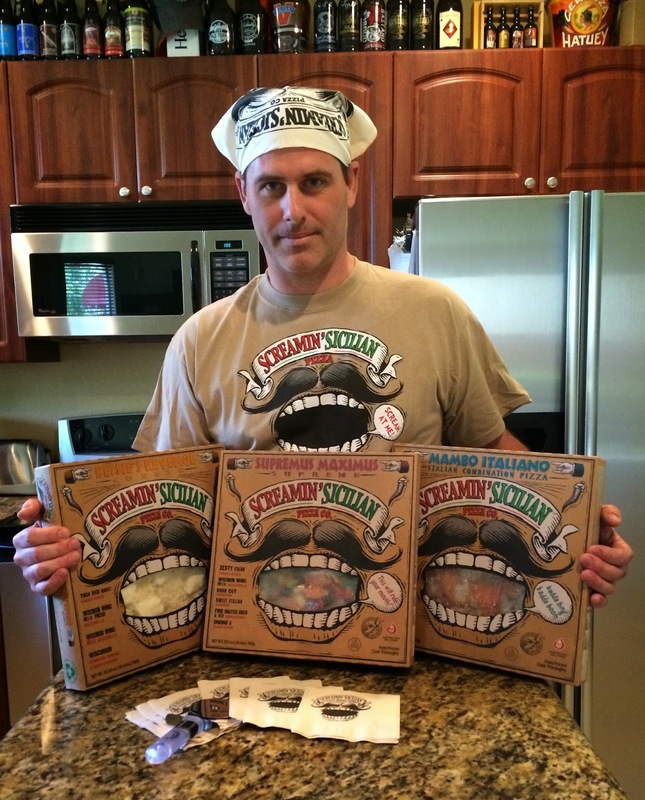 Never heard of Screamin' Sicilian Pizzas? My local South Florida Publix has three of the eight varieties, all of which have very fun names and packaging and stories. Looking through the logo mouth on the box into the pizzas, you are able to see huge amounts of toppings. Their cheese pizza is named Bessie's Revenge and you can see giant slices of Mozzarella on top. Supremus Maximus, well you know what that is, but did you guess it has a mountain of sausage, bell peppers, pepperoni, onions and black olives? And Mambo Italiano is an Italian meatball and pepperoni lovers dream! I'll have to look around for their Spicy Clucker, Boss Hog, 3 Lil Piggies and the other varieties. 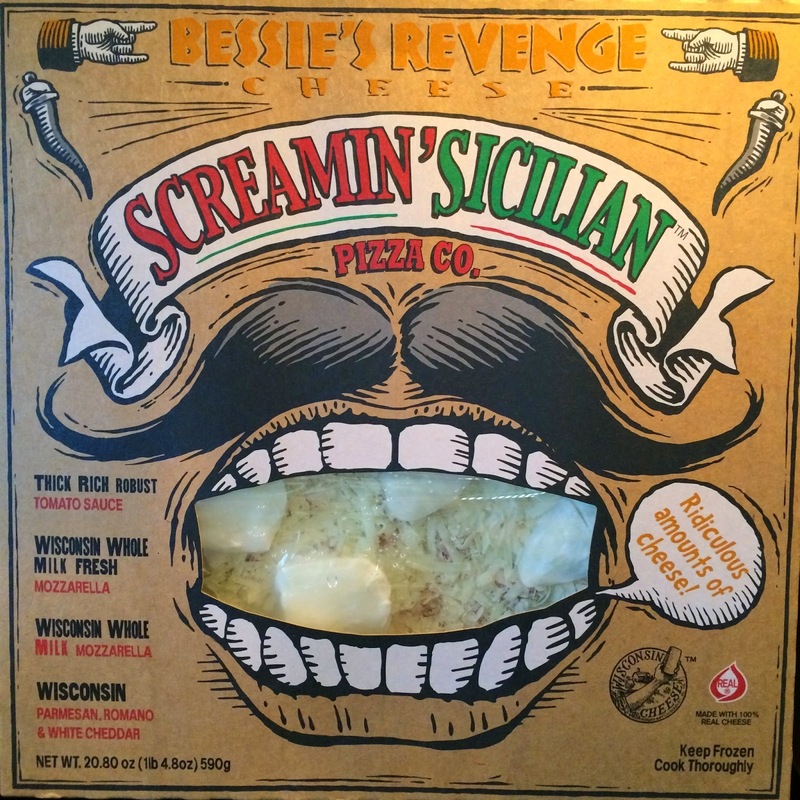 I decided to check out their cheese pizza first, Bessie's Revenge. Of course you know I'm going to pair it with a beer or two. But what beers? Quality ingredients, in this case tons of cheese on top of a crunchy baked crust, deserve a quality beer. I decided that for this pizza, I was going to start with Ommegang's Witte, a Belgian-style wheat ale brewed in Cooperstown, NY. The tangy flavor from the wheat along with the spices the beer was brewed with go naturally with the cheesy goodness, while not overpowering the flavors. Excellent pizza full of yum, and my wife and kids really enjoyed it as well! So much cheese! So much flavor! And the crust is spectacular! I also tried Bessie's Revenge with Brooklyn Brewery's Sorachi Ace, a beer named after a hop variety known for the zesty lemon flavors it imparts on a beer. In addition to the lemon flavor, some spiciness and yeasty qualities played very nicely with this particular pizza. By the way, both of those suggested beer options have excellent distribution, but certainly try local craft options if you want! Seriously, why are you messing around with the thin, flavorless cardboard-like pizzas made by your grocery store? For a few dollars more, you can have a spectacular pizza and an enjoyable meal. Think about it... You drink $5 coffee every morning while driving to work in your BMW 8000xl. You're willing to spend 8 or 10 dollars (and sometimes even double or triple that) on one quality craft beer. So why not try an upgrade on your next pizza? Do It! Part two of this review will be out in a week or two. In that time I'm going to try the other two pizzas available from my Publix. I'll probably ask the store manager what the chances are they might stock a few of the others too. Oh, and of course trying new pizzas is an opportunity to drink some more craft beers. I'll let you know then what works for me! 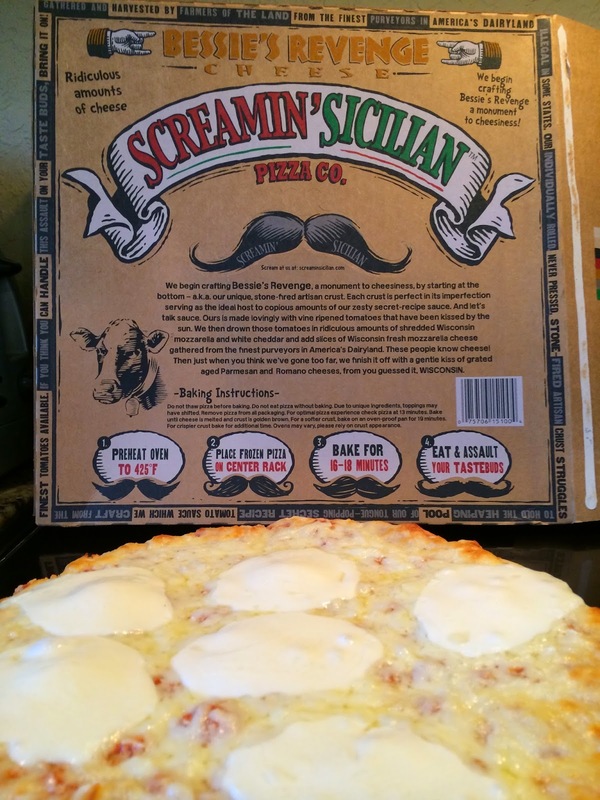 If you get a chance to try Screamin' Sicilian, leave a comment and let me know what you think (and what beers you drank with the pizza). Labels: Craft Beer, Screamin' Sicilian Pizza Co. I just don't understand why the crust and cheese has to be burned. I want to like this pizza but it goes from cold to burnt so quick. I am going to stick with Home Run Inn Pizza. Just tried Bessie's Bessie's revenge. Thought everything was gois except didn't care for the crust. Will but it again and trying taking out of the oven sooner. But all in all a tasty frozen pie.